A record attendance of 300 men and women entrepreneurs learned from industry leaders at an event on E-Commerce. We’re all familiar with just how cheap and convenient shopping online on Amazon or eBay can be. What you may not have been so familiar with is just how many of your friends and neighbors are sitting on the other side of the screen, selling you that bargain-priced pair of headphones or that bulk pack of pens. Online retail is one of the fastest growing markets in history and people in our community have been taking advantage of it, as evidenced by last week's “Finding Succeess in E-Commerce” seminar and networking event. 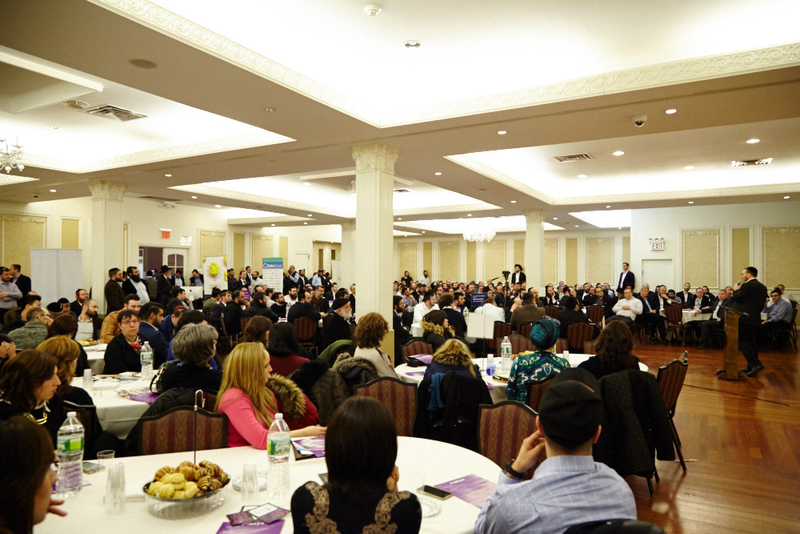 The main hall at Agudah of Avenue L was full to capacity as nearly 300 business men and women from communities across the tri state area gathered to listen, learn, and network. The keynote address was delivered by Mr. Chaim Piekarski of C&A Marketing, a leading ecommerce company. Mr. Piekarski spoke about the importance of having a clear plan for your company and the need to stay focused on your core values. The event also featured roundtable Q&A discussions hosted by industry leaders from many different E-Commerce categories, like Mr. Yoel SternDirector of R&D - Windsor Global who specializes in product development and Mrs. Leora Platt, Sales and Marketing Manager at Teri Jon, who specializes in Marketing Basics of Ecommerce. Walking around the room one could hear all manner of questions being asked and answered, from the specific like “When is it time for me to hire HR for my company?”, put to Mr. Chaim Piekarski of C&A Marketing; to the more broad, like “When does a company decide to go for financing vs selling off equity,” asked to Mr. Zisha Novoseller of EPI. 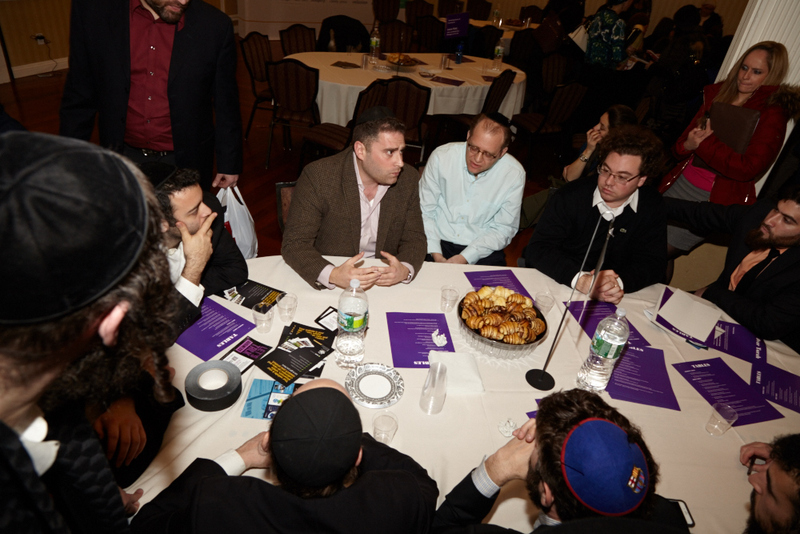 The atmosphere at the event was warm and friendly, something which was commented on by more than one person; Tzvi Chamishof InstaTrade said it was “a warm atmosphere, a great Business chill.” Jeremy Greenberg of SellerCloud, which was an event sponsor, commented on how impressed he was with the Ahavas Yisrael in evidence, people willingly and happily sharing advice and lessons with others who might be their competitors one day. E-Commerce has clearly turned into a great business for the frum community and more and more people are jumping in. Today, you almost certainly have a friend or family member in the business, and who knows, tomorrow it might be you.